Achieve sun-kissed colour with the Bondi Sands Everyday Gradual Tanning Milk; a lightweight, quick-absorbing moisturiser that delivers a golden glow all year round. Inspired by Australia’s iconic beach, the innovative, dual-action formula blends Aloe Vera and Vitamin E to nourish and hydrate skin. Perfect for everyday use, the gradual tan delivers an instant hint of bronze that slowly intensifies to leave the body with deep, long-lasting colour. Expect a streak-free, natural-looking finish and a delicious Cocoa Butter scent. Housed in a pump bottle for convenient, mess-free application. 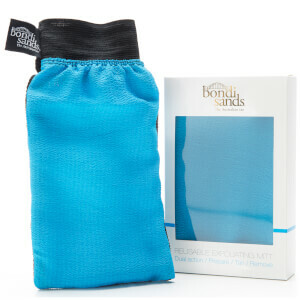 Step 1: For an even, streak-free tan, use the Bondi Sands exfoliation mitt to ensure your skin is clean and free from any moisturisers. Step 2: Push pump firmly, applying tanning milk evenly onto the skin in a smooth, circular motion. Apply lightly to hands, elbows, knees and ankles. Wait until skin is touch dry before dressing. Step 3: Use milk daily as an everyday moisturiser to keep skin hydrated and golden. Wash hands after use. Water, Dihydroxyacetone, Aloe Barbadensis Leaf Juice, Cocoglycerides, Bis-PEG-18 Methyl Ether Dimethyl Silane, Butyrospermum Parkii (Shea) Butter, Laureth-7, Isopropyl Palmitate, Glyceryl Stearate, Phenoxyethanol, Tocopheryl Acetate, Isobutylparaben, C13-14 Isoparaffin, Fragrance, Polyacrylamide, Ethylparaben, Cetyl Phosphate, Triethanolamine, Erythrulose, Butylparaben. Save 20% and receive a Free St. Tropez Self Tan Purity Bronzing Water Face Mist 15ml when you spend £30 on the brand. Complimentary gift will be awarded at the basket. Offer valid for a limited time only, while stocks last. Very light weight lotion that dries very quickly which is great. There isn't a horrible smells as some fake tan has but did take 3 days of application to see any result. This is one of the reasons I don't think it's the best tan product. I also ordered it a week ago and I'm already half way through. I have only used it once every day since my purchase and I wouldn't say I have over applied. I would like to try others before I would buy this again. Nice glow but awful smell!! Easy to apply and gives a lovely colour after one application but it smells awful! My partner slept in the spare room the night I applied it because he couldn't stand it! I love this gradual tan, it's been great for the summer months as it's kept what little tan I managed to get from sitting in the garden. I've been applying it in the mornings after my bath and it dries really quickly - you don't have to wait for ages before you can get dressed. There's no horrible smell and it's a nice colour. I would definitely recommend it. Since I bought my first bottle of this I haven't been able to live without it! It smells amazing, makes my skin feel really soft and moisturised and gives me a natural glow that's buildable. I've switched from wearing fake tan all the time to using this daily instead. It's also a great product to help maintain my fake tan when I do wear it. A bottle does go a long way and it is worth every penny. I'd definitely recommend! Really impressed with this gradual tan, doesnt smell too biscuity works quickly and drys quickly too. Lovely smell and builds to a nice gradual tan. Doesn’t leave streaks. Firstly the smell of this is a fake shea / cocoa butter smell. its not nice, but its not nasty either, but it doesnt have that fake tan biscuit smell which is good. The smell pretty much dissappears when its soaked in. The product moisturises very well and you dont need an additional moisturiser with it. The bottle is large so it lasts a good while. It takes around 3 days of applications to get a glow on the palest of skins. Dont expect to use once and be brown in a few hours. As with all tans, care must be taken on feet, knees, elbows. I find it best to moisturise those areas first and wait 10 mins before using this. 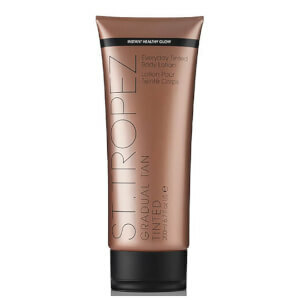 I have marked it down a star because the smell is not great and there are other gradual tans for pale skins that work quicker in the same price point, such as the Dove spa one, which smells lovely. I use the ultra dark self tanning mousse all the time so I wanted to try this gradual tan as I was so impressed by the other one and the tan eraser. 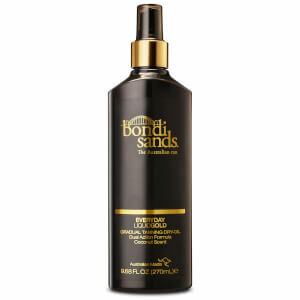 A great size bottle for the price, it went on easy and dried fast and the smell was lovely, even the following the day/days and it didn’t give off that strong tan smell at all that other brands do with a similar product. However I found that it needed to be applied quite a number of days for it to build to any kind of level of a nice natural glow which disappointed me. I am quite fair skinned so I was assuming even after one genrous later of it the next day I’d have a nice glow but I still looked pale and even the same. That would be my only fault with the product. I have used other sho brands such as dove gradual tanning moisturizer and I’ve gotten a lovely glow after just one coat. Otherwise it’s a nice product. firstly this smells great,i have used it for a week and have light glow to my skin.i like the pump action bottle .I will buy again. Love this grad tan, i use inbetween my Weekly tanning sessions. Perfect to keep dat glow! !